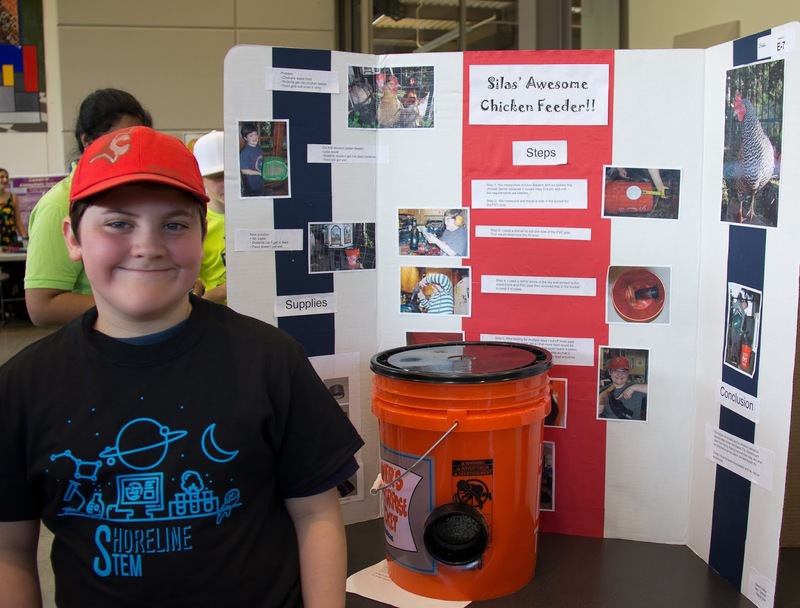 Science, technology, engineering and math (STEM) were the focus of the day at Shoreline Community College on Saturday, May 5, at the annual Shoreline STEM Festival and Science Fair. 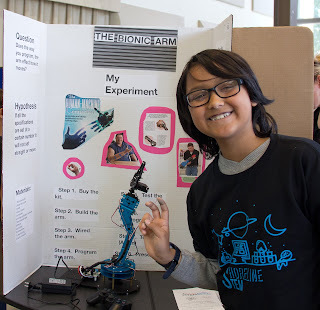 With hands-on activities led by scientists, engineers, and enthusiasts, fair attendees had a great time learning about local research and careers in STEM. 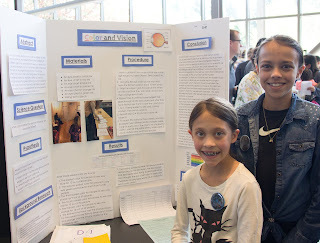 From solar telescopes to microscopes, they observed our world in new ways and explored bridge building, stream bed reconstruction and wetlands biology, scientific illustration, solar energy, water quality, dental health, brain chemistry and so much more! The robotics expo was hosted by the non-profit Shoreline Robotics Society and FRC Team 3070, our own Shoreline high schools’ Team Pronto. 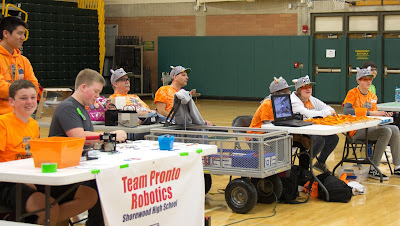 A number of teams from the region joined in the fun, showing off their robots and giving young attendees a glimpse of the programs offered in the Shoreline School District in Robotics. The Shorecrest Technology Student Association was also on hand, sharing their award-winning projects and raising funds to take their team to Nationals in Atlanta. Students shared their own research at the science fair, earning a free t-shirt featuring a winning design by Shorecrest student Torin Coffee. 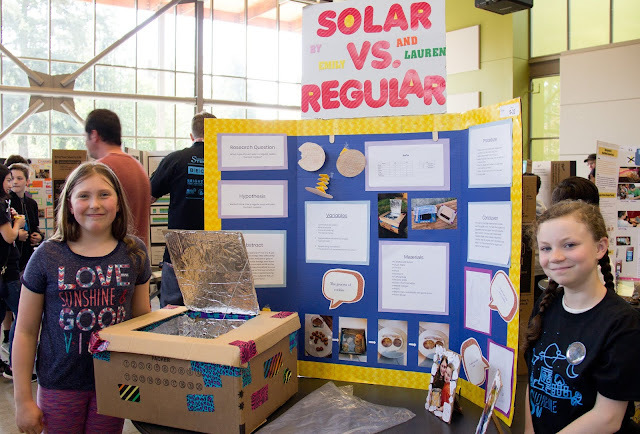 Highland Terrace Elementary and Meridian Elementary received the award of School of STEM Excellence for having the greatest number of student science fair projects. Shoreline STEM, the all-volunteer, community-driven, non-profit organization that hosts the festival, would like to offer special thanks to the Shoreline School District, our many generous sponsors, student participants and their parents and teachers, STEM career exhibitors, and our amazing volunteers from Shorewood Science Olympiad, Team Pronto and Shoreline Robotics Society, and the community at large. A complete list of sponsors and exhibitors can be found on our website. Shoreline Community College helps us host the festival each year because they support a STEM pipeline that stretches from young students to professionals. The College is a leader in providing expansive opportunities in STEM education. Stay informed about fun STEM opportunities year-round by liking their page on Facebook or following them on Twitter. The 2019 festival is already underway. New 2018-2019 board members were elected at a June 5th meeting who began to discuss next year’s festival. 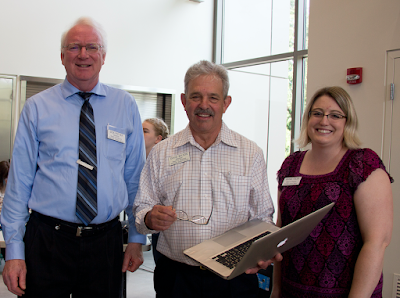 Several board positions will be open and community volunteers are needed! For more information, contact Shoreline STEM through the website or at shorelinestemfestival@gmail.com.